Arvind Kejriwal's decision to apologise to ex-minister Bikram Singh Majithia has angered Aam Aadmi Party leaders in Punjab. NEW DELHI: Chief Minister Arvind Kejriwal's apology to Akali Dal's Bikram Singh Majithia for calling him "Punjab's drug lord" has provoked a sharp backlash within the Aam Aadmi Party. A top AAP leader in Punjab called the retraction by the Chief Minister a "meek surrender" and another blamed him of letting down the people. 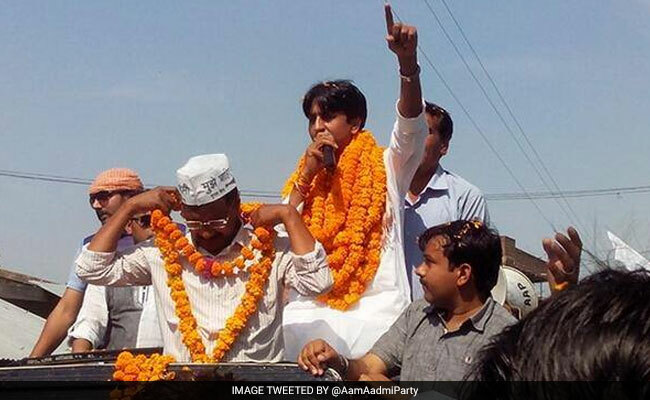 Soon enough Kumar Vishwas, AAP's sidelined leader too appeared to join them with a tweet that was seen to taunt Arvind Kejriwal. "We're appalled and stunned by the apology of Arvind Kejriwal tendered today," Sukhpal Singh Khaira, Leader of Opposition in the Punjab assembly said, making it clear that the state unit wasn't in the loop. "We don't hesitate to admit that we haven't been consulted on this meek surrender by a leader of his stature," Mr Khaira said as AAP leaders in the state lashed out at the top leader for having allowed himself to be arm-twisted into giving the apology. Joining them was Kumar Vishwas. Without naming the chief minister, he also tweeted a couplet that was seen to describe Mr Kejriwal as an expert at breaking his group's unity and adept at chopping off his own root. "How can I spit at someone who's an expert at spitting - only to lick it up," he said, seen as a veiled reference to Mr Kejriwal's unqualified apology. The poet-politician followed it with another couplet that hinted about the disappointment in the ranks to make an outsider feel better and the dashed hopes of the public.